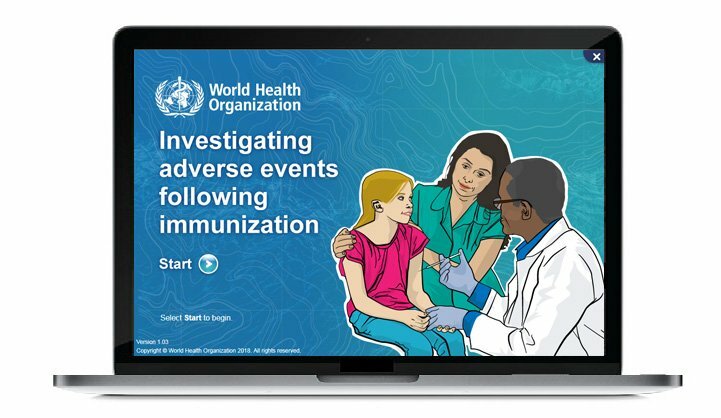 The ultimate goal of an adverse event following immunisation (AEFI) investigation is to find the cause of the event and to implement follow-up actions when required. Investigation should identify any immunization error-related reactions because these are preventable. If coincidental events are recognized, proving them will be important to maintain public confidence in the immunization programme. Acknowledging that the cause of a large proportion of AEFI cannot be established by AEFI causality assessment committees due to incomplete AEFI investigation, WHO is launching an E-learning course on AEFI investigation to learn: 1) when to launch an investigation 2) what information is required to successfully complete an investigation 3) how to successfully manage inter-personal communication with relevant stakeholders. Learn at your own pace with a highly interactive course, with combination of informative content and immersive scenarios where you will be called upon to investigate serious AEFI in different parts of the world. Following successful course completion, you would download a course certificate.